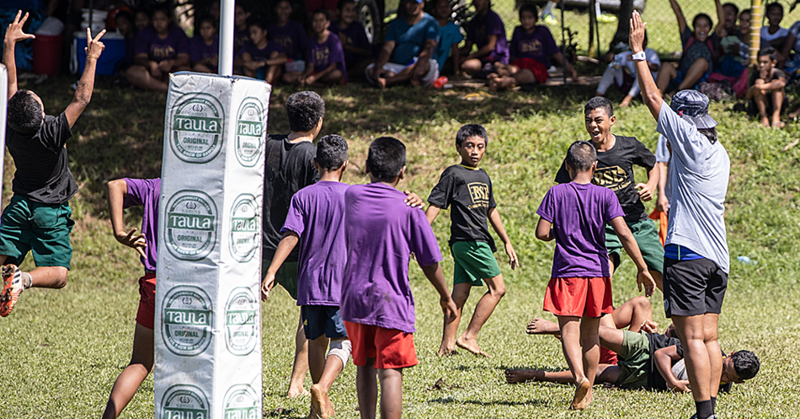 Despite heavy rainfall and bad weather yesterday, this didn’t stop young female players turning up at the Toleafoa JS Blatter fields to be part of FIFA Soccer Sister Festival, in partnership with US Embassy Samoa. Football Federation Samoa through its Women’s Development Program celebrated it first Soccer Sister Festival for 2016 on Saturday 20th February 2016. The program implemented in 2013 to target female’s interest towards participation in football (soccer) and to increase female teams entered into the FFS National League. 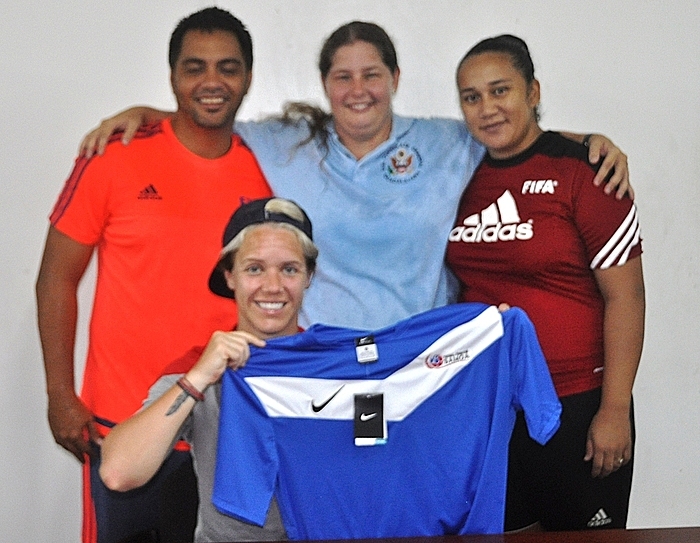 Since its inception, it has contributed to the development of women’s football in Samoa. Yesterday’s event featured former USA Women’s National Player Lori Lindsey who played in the FIFA Women’s World Cup 2011 under more than 60,000 spectators ever recorded and not only that she is the first female professional football player to visit Samoa. She stated during an interview with FFS that Samoa has talented young aspiring stars, which are only need soccer basics to improve their natural skills. Lori retired from her football career last year after involving for 13 years. FFS Women’s Development Officer Lynette Laumea Faaiuaso acknowledged Lori’s presence and the US Embassy donation for Samoa Women’s Program. The next Soccer Sister will be on the 20th March 2016.